Using the Big Shot and the Vine Street Textured Impressions Embossing Folder, emboss the Island Indigo Cardstock. Stamp the four-flower image repeatedly in Island Indigo ink and the sentiment in Rich Razzleberry ink on the Shimmery White Cardstock, using the Stamp-a-ma-jig for placement. 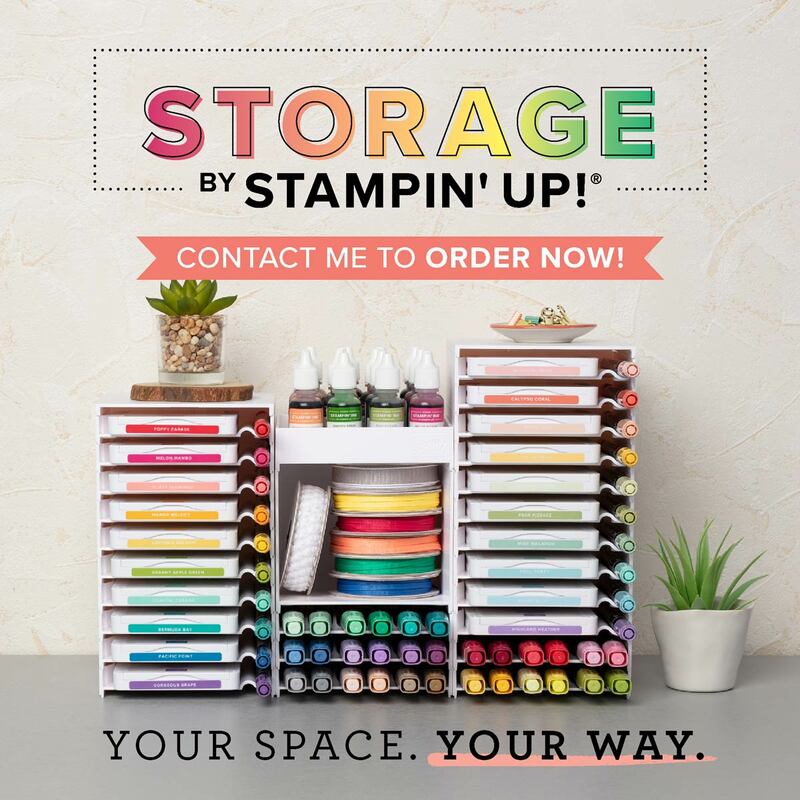 Cover the images with Clear Stampin' Emboss Powder and heat set. Punch five flowers from the Sycamore Street Designer Series Paper using the four-petal flower punch from the Itty Bitty Shapes Punch Pack. Set them aside. Stamp three flower images in VersaMark ink on Rich Razzleberry, Summer Starfruit, and Tangerine Tango Cardstock. Stamp two flower images in VersaMark ink on Pool Party Cardstock. Cover the images with Clear Embossing Powder and heat set. Punch flowers from the stamped cardstock using the four-petal flower punch from the Itty Bitty Shapes Punch Pack. Adhere the stamped cardstock flowers to the card. Using the Big Shot and the Adorning Accents Edgelits Die, cut the border from the Summer Starfruit Cardstock. Adhere the border to the back of the Shimmery White Cardstock. Adhere the Shimmery White Cardstock to the card. Tie the Pool Party Baker's Twine around the card; tie the bow in the front.